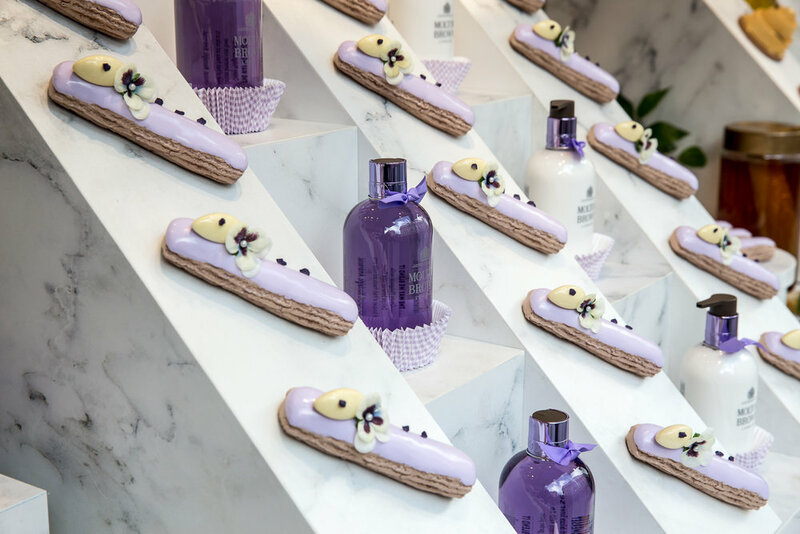 This elaborate window display was rolled out across the UK and internationally for Molton Brown’s Mother’s Day celebrations. Hundreds of bespoke, hand-finished desserts were created to showcase their collaboration with pastry chef, Sarah Barber. The flagship store featured a patisserie bar finished in opulent gold and marble, beautifully emphasising the synergy between dessert and fragrance.